A successful ERP implementation can save you significant time and costs by getting things right and minimising disruption. 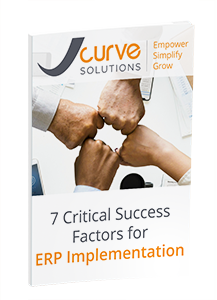 Find out the 7 critical success factors for ERP implementation that will help you see a greater return on your investment. Plus a whole lot more. Download your guide now and learn how to see success with your ERP implementation.